A one step Sculpting product, very similar to Bondique, but in a clear variation. 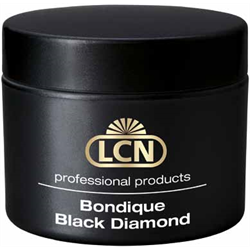 Bondique Black Diamond is enriched with fortifying diamond dust - for nails as strong & as beautiful as black diamonds..Power and luxury are not commonly used to describe your nails - until now! 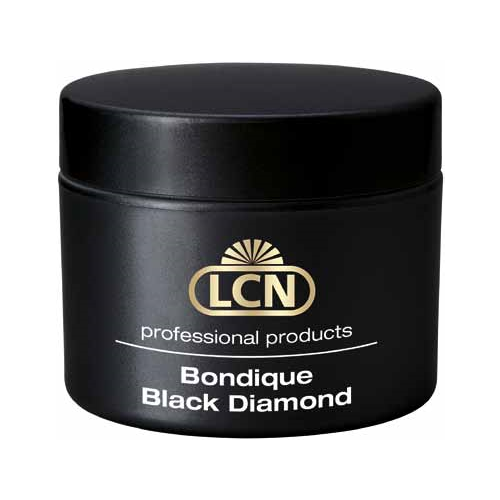 For clients desiring beautifully indestructible nails, LCN’s Bondique Black Diamond is the answer. Fusing the strengthening features of Bondique with the durable qualities Bondique Black Diamond works like magic. The pure diamond dust will guarantee an optimal processing! Knowing that their nails have the strength and beauty of black diamonds, clients will leave the salon feeling like royalty! Voted NAIL PRO MAGAZINE Readers Choice Award " THE BEST STANDARD GEL SYSTEM"
My seond go to builder! I love it. Easy to use , Easy to file, just like Bondique but Stronger!